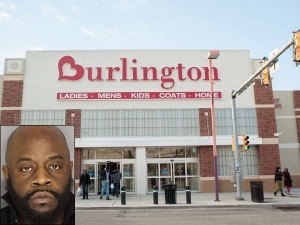 Father Marvin Francis, 39, received a call from store security. They told him that his son had allegedly been caught stealing. When Francis arrived at the store, according to authorities, he picked up a broom that was on display and began to beat the teen with it repeatedly. According to the Philadelphia Daily News, Francis took a break from beating his son with the broom only to drag him out onto the sidewalk where he could beat him some more; this time, beyond consciousness. “He beat him like a piece of meat,” said Upper Darby Police Superintendent Michael Chitwood to the Philadelphia Daily News. Chitwood continued, “The next thing you know, he’s outside of the store and he starts punching him and beating him again. This time he knocks him down, stomps him in the head and knocks him unconscious.” The entire incident was caught on tape. According to the Philadelphia Daily News, following several failed attempts to revive his son, Francis slung the teen over his shoulder and put him into the back of his Lexus. Store security never called authorities according to Chitwood. It was a shocked witness that made the call. By the time the police located Francis, his son had regained consciousness. But that did not prevent the father’s arrest. His bail is $100,000 and he is currently residing in Delaware County Jail after being charged with aggravated assault and other charges, as reported by Originalpeople.org. This is why so many black young men end up in jail. they Having parents that feels a beating is the only way to get to get through to them. Just talking to them can change your way of thinking and knowing what’s right and wrong. Beating him like that on builds anger and frustration that they take out on the world because that’s all they know. Since they can’t beat their parents that they fight against Society. What lesson was actually learned? Beating someone near to unconsciousness isn’t the way to get your point across. I would hate for this child to grow up beating and hurting people because that’s what he received. We then want to blame them for their actions with no fault of the parenting. Not saying its always the parents’ fault but you have to look at their upbringing to see where this anger manifest. This dad needs to be put under the jail for beating that boy like that and some charges against the store’s security for allowing him to do it. Whatever was stolen this was not called for.